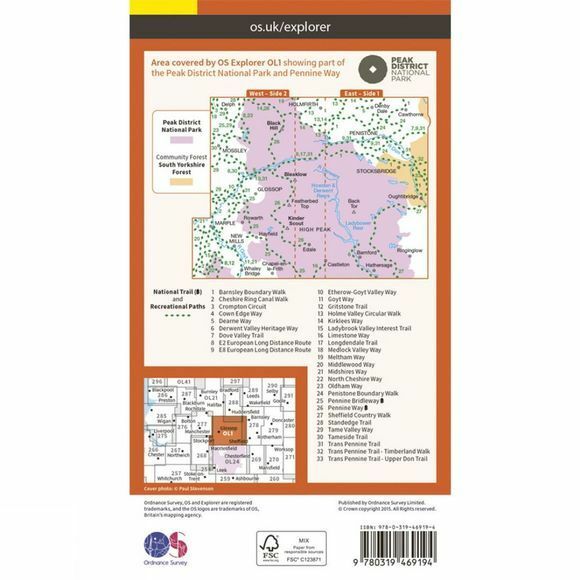 Ordnance Survey Explorer Active 1:25000 scale map. Covering The Peak District - Dark Peak. These maps are often known as encapsulated or weatherproof maps. They contain the same information as the standard OS Explorer series but are covered in a lightweight protective plastic coating. 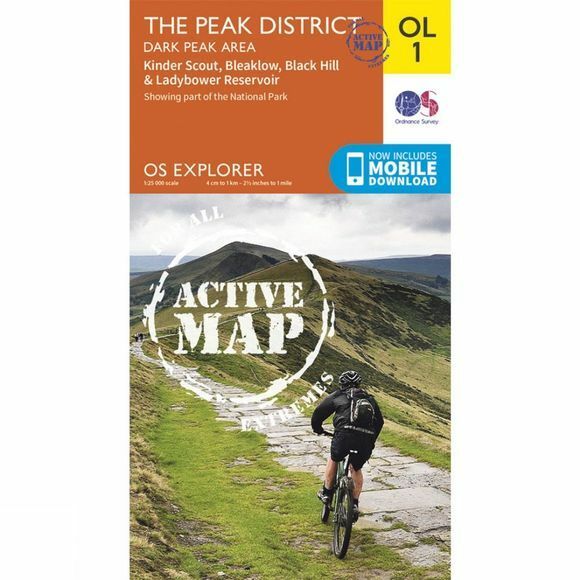 As well as handling wet weather conditions, the OS Explorer Map - Active series can easily be written on with washable ink making it simple to highlight your favourite routes and then wipe them off when you return home.